Is Damien Hirst the new sub-prime? What is art? A question that has puzzled thinkers since the beginning of time. It can be hieratic, metaphysical, other worldly, beautiful, ugly, precious, technically accomplished, literal, abstact……the list goes on and on. The only thing for sure is that with the passage of time people gradually understand what is great art and the best artists slowly percolate to the top of human appreciation and stay there. If you don’t like Rembrandt it is because you are not at a level whereby you can appreciate his genius. Such recognition can be instinctive or learnt through study. Words always sound trite when trying to describe great art because often it is possible to understand that one is in the presence of great art without being able to articulate why. No two artists ever agreed on the subject. For Degas, ““A painting requires a little mystery, some vagueness, and some fantasy. When you always make your meaning perfectly plain you end up boring people” whereas Picasso maintained, “We all know that Art is not truth. Art is a lie that makes us realize truth, at least the truth that is given us to understand.” All artists struggle to imbue their oeuvre with the elusive vitality and life force which makes their art significant. Most artists do not have it and, despite success during their lifetime, their art gradually fades into oblivion and is forgotten. Trying to guess what artists have this life force is the great game played by collectors and dealers in contemporary art. Perhaps it easier to describe what is not great art. Great art emerges from struggle and conflict. Leading artists are 100% committed to their craft and often neglect other areas of their life while they single mindedly try to express what they see or what they think. Great art has power, the ability to move us or make us see something in a new way. Many of today’s artists are slick marketing specialists whose art has no struggle, no beauty and no soul. They are more interested in their brand and joint ventures with luxury goods companies than creating anything of significance. Time will not be kind to such artists when they lose access to the marketing generated by the dizzying round of art fairs, dealers, curators, magazines and exhibitions. 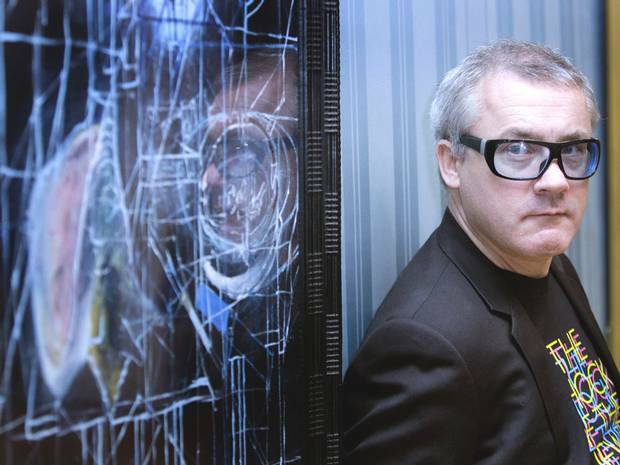 In the article below, Julian Spalding, the leading curator and former Director of Glasgow Museums, puts forward the case that Damien Hirst’s work will not stand the test of time. Julian Spalding – Damien Hirsts are the sub-prime of the art market. If you are unfortunate enough to have acquired any Hirsts sell them before they become worthless. Some people argue that Damien Hirst is a great artist. Some say he is an execrable artist, and others put him somewhere more boring in between. They are all missing the point. Damien Hirst isn’t an artist. His works may draw huge crowds when they go on show in a five-month-long blockbuster retrospective at Tate Modern next week. But they have no artistic content and are worthless as works of art. They are, therefore, worthless financially. If you want a pickled shark in a tank, you don’t have to pay the $12m Steve Cohen paid for the one selected by Hirst. You only pay that much for the artistic content that Hirst has added to it. If there isn’t any, what are you buying? You could argue that you are buying an investment. But that depends on people in the future valuing the artistic content in your shark even more highly than you do. If they don’t, what are you left with? A shark in a tank, which is what you bought. I’ve coined the term Con Art, short for contemporary conceptual art and for art that cons people. Contemporary conceptual art? All art is a concept in the sense that it’s the product of thought. But all art must also be a creation. You have to be able to see art; it can’t just be a projected thought. That’s how the emperor got dressed; his expensive robes were all in the minds of people around him, when in reality he had nothing on. It’s often been proposed, seriously, that Damien Hirst is a greater artist than Michelangelo because he had the idea for a shark in a tank whereas Michelangelo didn’t have the idea for his David. What separates Michelangelo from Damien Hirst is that Michelangelo was an artist and Damien Hirst isn’t. Michelangelo’s extremely subtle, profoundly moving ideas were manifest in what he made; they weren’t pretentious profanities tossed off the top of his head. The trouble with found objects is that you can’t tell just by looking at them what the person who put them in front of you is trying to tell you unless he or she has altered them in some meaningful way. Nor does the act of placing something in an art gallery, whether it’s a stack of bricks, a bin bag or an unmade bed, automatically make it a work of art, any more than framing a canvas with paint on it automatically makes it a painting. Art can be made out of anything, as Picasso famously demonstrated when he put a bicycle saddle and handlebars together and made a bull’s head, but art has to be made. Where did this idea that anything could be a work of art come from? It’s generally believed to have come from Marcel Duchamp. In 1917, a urinal was sent to an art exhibition in New York, supposedly by Duchamp. But recent research has shown that the urinal was actually submitted by Baroness Elsa von Freytag-Loringhoven. Her gesture was an early feminist attack on a male society. She didn’t claim the urinal was a work of art. She was taking the piss. Duchamp stole her idea much later when he began to promote himself as the founding father of modern art. The whole idea of the found object – the basis of conceptual art – was a con from the start. Why did the idea that anything could be art catch on? Con artists, cashing in on Duchamp’s scam, chose a few found objects and sold them to gullible collectors as gilt-edged investments, with the help of a small coterie of dealers and museum curators who wanted to be at the forefront of art no matter what the public thought. The bubble that is Con Art blew up, like the sub-prime mortgage business, in the smoke-and-mirrors world of financial markets, where fortunes have been made on nothing. The art education world, strapped for funds, has clung to the Con Art bandwagon, because thinking costs less than making. It doesn’t involve learning craft skills in studios. Damien Hirst’s ghastly reputation glows in the black hole at the heart of British culture. Art is a collective reality. When we look at a Rembrandt, we all know we are looking at the same thing, responding to the same source of experience outside ourselves. We might respond slightly differently, according to our natures, but the heart of what Rembrandt has given us is something we know we can share. What art shows might be painful, even vicious, but the showing is beautiful because it is shared. That is the optimism in all art – it helps us to build our collective consciousness on which the future of civilisation depends. Real art is always positive, for if it wasn’t why would anyone make it or want it? Con art is negative: it gives us nothing. That’s why you’d be well advised to sell your Hirsts, if you’ve been unfortunate enough to acquire any, before they become worthless. Because worthless they will be, when everyone realises that they’ve given nobody anything. Damien Hirst’s “works” are only of value if they’re works of art. They’re not. That’s the naked truth. ”’Compare me with Rembrandt! What sacrilege! With Rembrandt, the colossus of Art! What are you thinking of, my friend! We should prostrate ourselves before Rembrandt and never compare anyone with him!”’ – Auguste Rodin, in ”Art: Conversations with Paul Gsell” (University of California Press, 1984), p. 85 [Translated by Jacques de Caso and Patricia B. Sanders]. Originally published as ”L’Art: Entretiens réunis par Paul Gsell” (Paris: Bernard Grasset, Éditeur, 1911). ”’I gave up painting by 16. I secretly thought I would have been Rembrandt by then. I don’t believe in genius. I believe in freedom. I think anyone can do it. Anyone can be like Rembrandt… [[Picasso]], Michelangelo, possibly, might be verging on genius, but I don’t think a painter like Rembrandt is a genius. It’s about freedom and guts. It’s about looking. It can be learned. That’s the great thing about art. Anybody can do it if you just believe. With practice, you can make great paintings.”’ – Damien Hirst, in an interview with Simon Hattenstone of ”The Guardian” (14 November 2009).